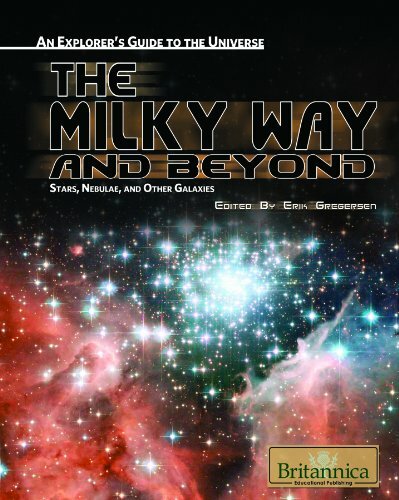 [PDF] The Milky Way and Beyond: Stars, Nebulae, and Other Galaxies | Free eBooks Download - EBOOKEE! Description: The Sun is merely one of some 200 billion stars that make up the Milky Way. Even more mind-boggling, the Milky Way is a tiny speck, being only one of a billion galaxies in the universe. Packed with fascinating facts and stunning photography, this book examines the Galaxy that humans call home. Readers are also taken on a journey light years away, to the domain of phenomena such as the Oort cloud. 2018-01-30[PDF] The Enchanted Wanderer: and Other Stories. No comments for "[PDF] The Milky Way and Beyond: Stars, Nebulae, and Other Galaxies".